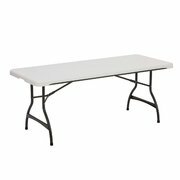 Make sure everyone gets a seat at the table with our easy-clean folding table and chairs. 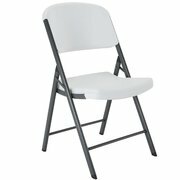 Makes a quick job of clean up and it's classic white color goes with a variety of events and celebrations. 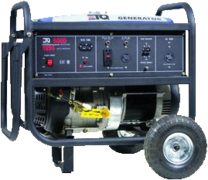 We also have generators available for our customers that may be having their event at one of our local parks or other locations where you will be required to provide your own electrical power. Browse the selections below and click on the image or the "more Info" link to get additional information and to make a reservation.